Are you looking for an interesting and rewarding job with good work-life balance in a stunningly beautiful rural location within easy reach of the West Midlands conurbation? 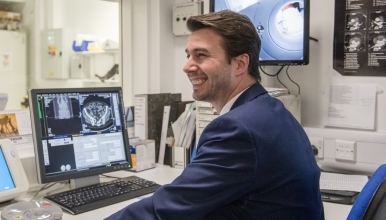 If so, we would like to welcome you to join our friendly, supportive, Radiology team, working in close collaboration with our forward thinking team of 24 existing Consultant Radiologists. We are looking for a Consultant to join our expanding Department supporting 520,000 people in Shropshire, Telford & Wrekin and Mid-Wales. We require an enthusiastic Radiologist with a Specialist Interest in Paediatric Imaging, but would encourage participation in other sub-specialties. We are looking forward to exciting changes with increasing investment in response to the Future Fit decision concerning the Counties care provision. The Shrewsbury and Telford Hospital NHS Trust provides District General Hospital clinical services to the population of Shropshire and mid-Wales with a dedicated Cancer and Haematology Centre at Shrewsbury. There has been centralisation of specialties such as Surgery, Stroke and Cardiac as well as Interventional Radiology to improve services. Flexible working is provided within a defined overall workload and no on-call commitment is required, but can be incorporated if desired. The post is for 10 Programmed Activities per week and and additional 0.25 PA's for on call. Shropshire is the largest inland county in the UK with Areas of Outstanding Natural Beauty, World Heritage sites and access to Mid Wales and the Welsh coast. There are good schools, amazingly affordable housing and a wide range of leisure pursuits. Any candidate who wishes to be considered for part-time or flexible working is welcome to apply.